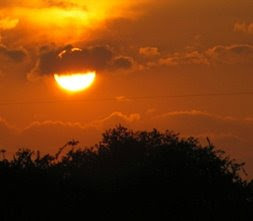 I just noticed in your picture that the sun was wearing a streimel! If our emphasis on this mitzvah is disproportionant, the rectification is to increase our emphasis on the imporance of other mitzvos, not to lower our esteem of this one. If you really want to understand birchas hachama watch the dvd that oorah just mailed out - I found it so easy to understand and it was very well illustrated. Great post. Ha'levai we should put as much reseach into all the Mitzvos we perform. Is it just me or is there anyone else out there that can't get enough of the stuff? I'm turning into a Birkat Hahama addict. It's a good thing it's over in a few weeks!! The use of the word "mitzva" (and Rav Raffi isnt the only one using it) regarding Birkat Hachama is quite misleading. Birkat Hachama is not a "mitzvah". Those who dont recite it for whatever reason have committed no wrong. It is by all accounts, optional, albeit storngly recommended. Rabbi Enkin - good point and I stand corrected. I have never heard that yishuv ha'aretz was only "highly recommended". This must be some sort of galuti thing. "I have never heard that yishuv ha'aretz was only "highly recommended". This must be some sort of galuti thing." Although living in Eretz Yisrael has tremendous value and many poskim view it as an absolute chiyuv, R'Moshe Feinstein ztl famously paskened that living in EY today is only a mitzvah kiyumis. Others argue but don't belittle view espoused by the previous posek ha-dor. This may all be in error. According to Ancient sources and errors in linking this date to solar calender instead of lunar calender.